Internal fraud is a major problem faced by organizations today and most companies don’t even readily admit the fact that their business may be vulnerable to employee theft or fraud. Gone are the days when it used to be a rare thing. Now, it is a common activity that is causing businesses to lose billions of dollars in annual revenues and profits. According to a report published by the ACFE (Association Of Certified Fraud Examiners), organizations lose a significant 9% of its revenue due to fraud each year. This indicates that a substantial portion of annual profitability is drained due to this curse and businesses need to come up with a fraud prevention plan in order to secure their invaluable assets. With right technological tools and techniques, prevention of fraud is possible. However, you need to devise an effective plan if you expect to reduce fraud or employee theft in your organization. Initially, businesses had the margin to trust their employees almost completely due to the long-termed developed faith and trust on personal and professional grounds. Now, businesses cannot trust their employees as they used to. Why? Because people have lost morality and faith and they would exploit the business they might be working in, as much as they possibly can, and get hold onto any opportunity they find. Organizations need to maintain an effective internal control for the prevention of fraud. Fraud is devastating for a business, both financially and culturally. Business owners who ignore the cases of fraud in their organization will face repercussions in the shape of losing their competitive advantage, growth, and working capital. Employee fraud has many forms and there are roughly three major categories that reveal how employees steal from their company. They include corruption, asset misappropriation, and financial statement fraud. 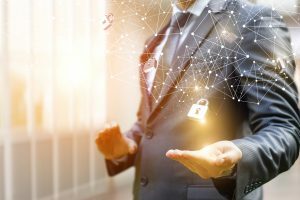 If an organization is successful in maintaining effective internal control, they can expect to greatly reduce employee fraud in their organization. The prevention of fraud is not as hard as it seems; it takes awareness of your staff’s mentality and the proper practices that prevent it from happening. Using the right tools and techniques can significantly reduce the percentage of employee fraud. Prevention of fraud is only possible when it is done right. Poor internal control is one out of four primary reasons due to which any fraud occurs. The other three include collision between employees, collision and personal rifts between employees and third parties, and management override of internal controls. If you expect to prevent fraud and eliminate the risks of fraud, you need to design an internal control that can deter fraudulent activities. What Comes Under The Banner Of Effective Internal Control? Prior to creating an effective plan for the prevention of fraud, you need to define your company’s culture and the way your business is governed. You need to perform an assessment of each and every employee in order to know them well. Educate your employees by integrating various interactive methods in which every employee must participate. Once the training is finished, continuously remind your staff to uphold standards that will help ensure continuous growth and success. Lastly, you need to document everything clearly, without errors, to make sure that the code of conduct and theft prevention policies are well understood by employees. Building strong relationships and communication with your employees is extremely important when it comes to a company’s growth and success. The prevention of fraud can be possible when you maintain strong interactions and communication with your employees. Moreover, segregation of duties is one way by which you can track your employee’s productivity and performance. The employees who have the courage to steal from you can be traced easily when roles and duties are assigned respectively. Bookkeeping records can reveal who is stealing from you; it just takes effective monitoring and tracking.